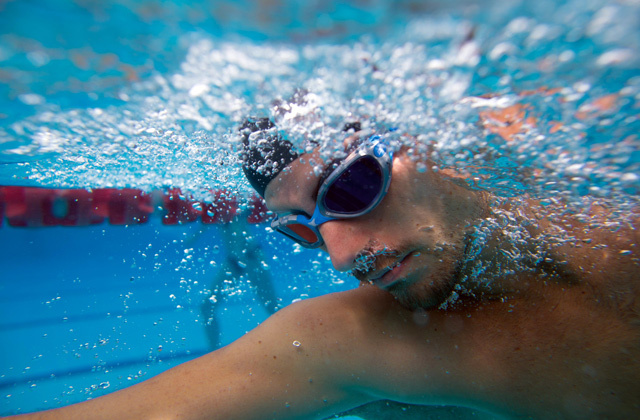 The Schott Superwite™ UltraClear lens with a transparency of 96% delivers amazing underwater visibility. The lens is prone to fogging, so you may need a special defogger spray. 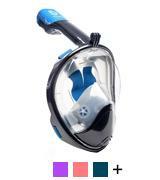 This diving mask will be appreciated by professional divers thanks to its ultimate quality and thought-out shape. The mask offers a brilliant panoramic view. The chin valve allows draining the mask without taking it off. 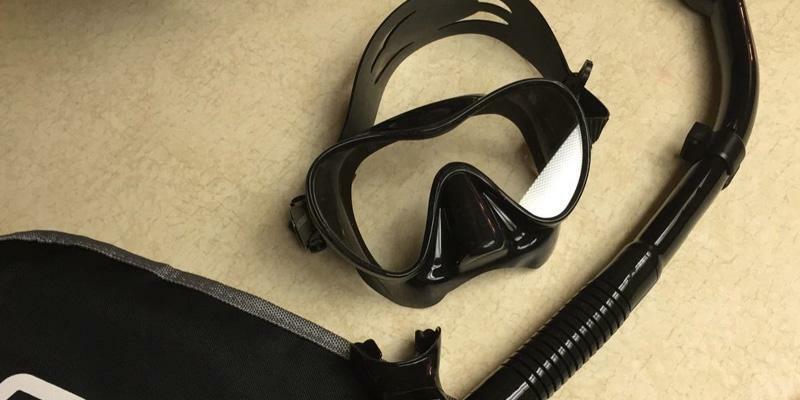 This mask can't be used with a scuba diving equipment. If you' feel uncomfortable wearing your old snorkel mask, this WildHorn model is the perfect alternative. Its thought-out design allows free and natural breathing and lets you enjoy the mesmerizing beauty of the subsurface world. 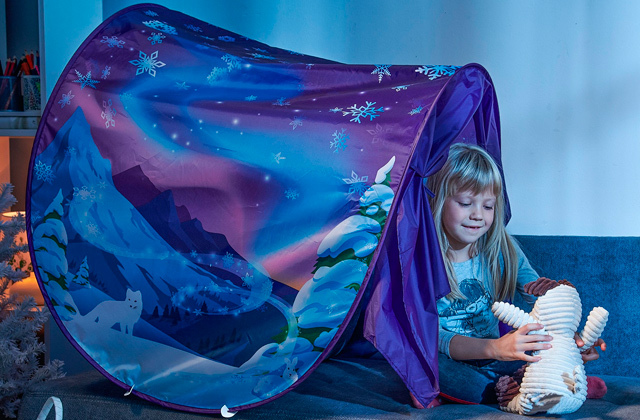 The model is made of highly elastic silicone and can be folded up to fit into a pocket. Some customers note that the snorkel mouthpiece is a bit large and uncomfortable. This snorkel mask has a really attractive price but it features durable materials that put the model in line abreast the pricier ones. 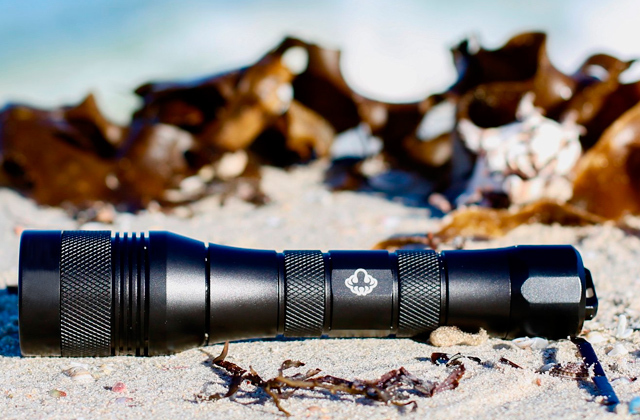 Undoubtedly, the Cressi is one of the best picks in terms of price-to-quality ratio. The aluminum screw makes this model compatible with GoPro action cameras. The thumbscrew is hard to tighten manually, so you may need a hex wrench. 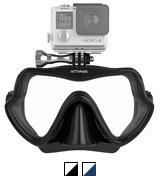 The mask is definitely among the best accessories for diving and making videos of the underwater life. So, if it's your hobby, don't miss this OCTOMASK model. 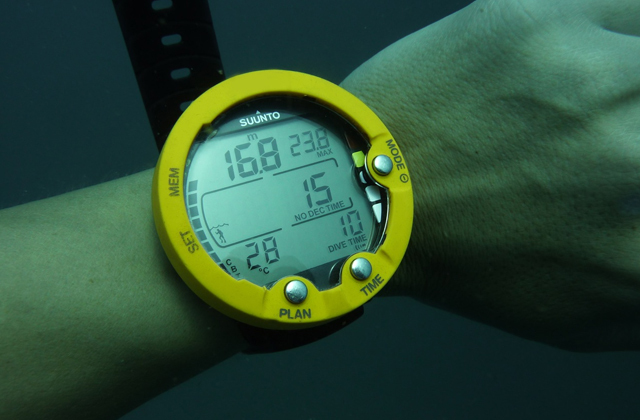 The model is available in multiple colors, so it can be used with any diving equipment. Some users found the nose area uncomfortable. 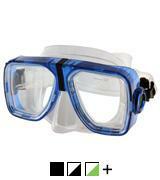 This scuba mask is designed specifically for those having various vision problems of different severity. Moreover, you're able to choose the fitting mask among different prescription models. Having reviewed this model by Atomic, we were amazed at its smart design. This is a frameless snorkel mask which is made of silicone of different hardness. The first one is a soft and elastic silicone used for comfortable and snug adhesion of the mask to a diver's face. Owing to this material, the mask holds firmly and doesn't irritate the face. The skirt of the mask is made of stiffer silicone to provide dependability and protection under any conditions. We should note that this Atomic mask is designed to have a universal fit. 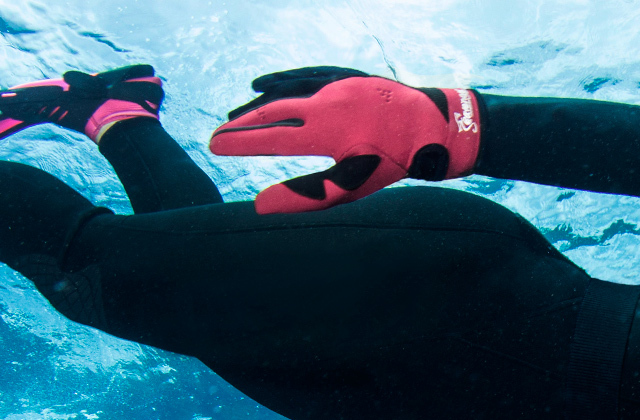 The convenient adjustment clasps allow fast and easy tailoring to any diver's head. 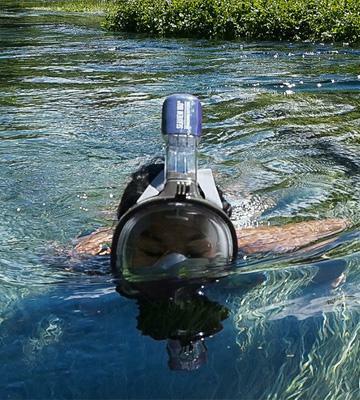 Finally, we can't avoid mentioning the unique glass of this snorkel mask. Traditional diving masks have lenses made of glass like those you see while looking at your windows. These lenses are particular for a greenish hue that distorts the color perception. Meanwhile, the Atomic Aquatics mask has a Schott Superwite™ UltraClear lens boasting the 96% transmission ratio for a super clear visibility. 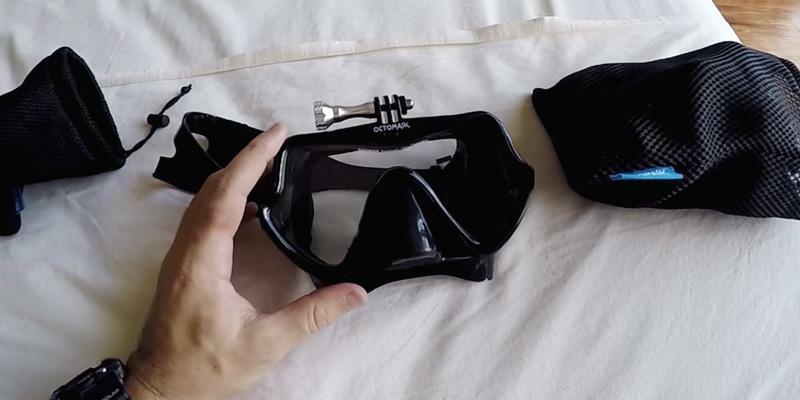 This snorkel mask by WidHorn is a real innovation in diving gear. It's one of the few masks that brings the tiniest details of subaqueous life to divers. This model provides the 180° view, so you'll never miss what's around. But it has some more advantages! 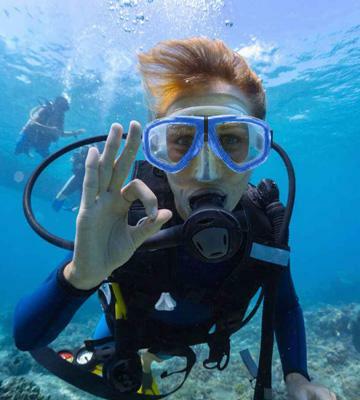 Many divers experience discomfort when holding snorkels in their mouth. Yet, the WidHorn mask is different! Its snorkel is mounted on the top and the special integral chambers allow you to freely breathe through either your mouth or nose. Furthermore, such design minimizes the lens fogging. Also, the mask is fitted with silicone inserts for extra convenience and airtight sealing. 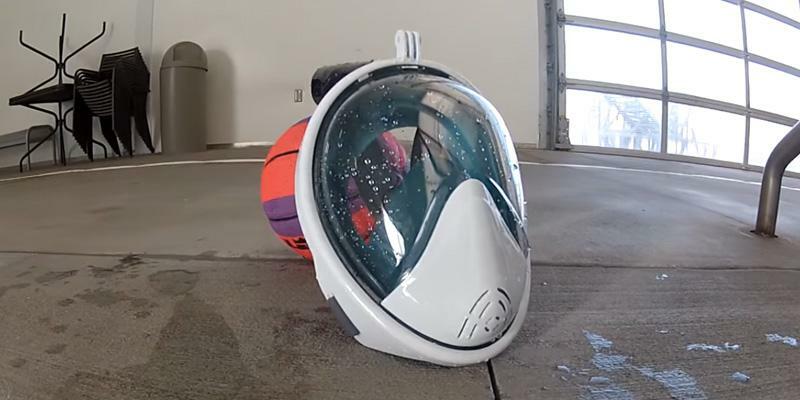 In any case, don't worry if water accidentally gets inside the mask while diving. 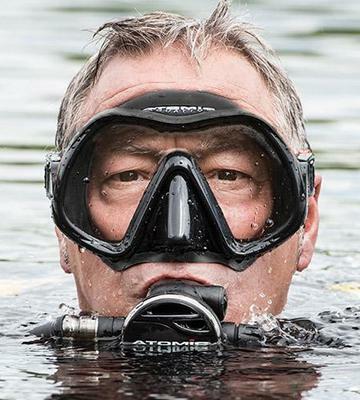 Just surface from your dive and the water will escape through the chin valve! 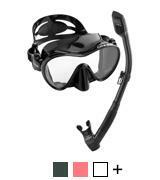 This scuba mask from Cressi is an affordable model but it's really convenient and reliable. The mask is manufactured from premium-grade materials that are usually used on its costlier counterparts. 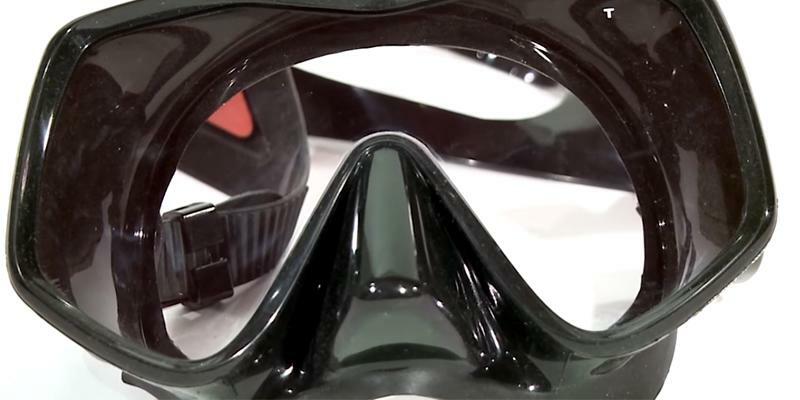 These materials include tender silicone that ensures a tight fit of the mask to a diver's face. 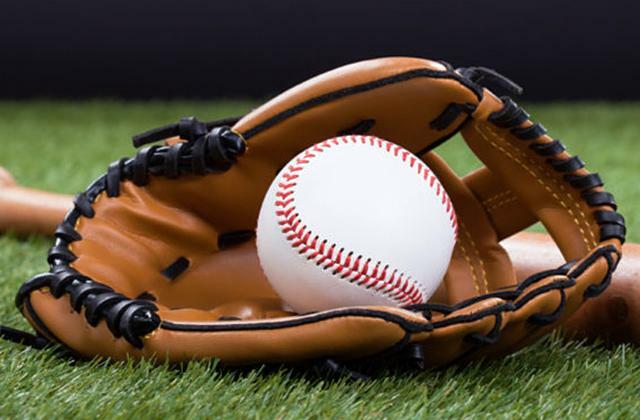 The silicone is known for its durability as this material is resistant to UV rays and high temperatures. Moreover, it's hypoallergic, hence you are not going to have any skin problems after wearing this item. 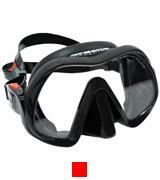 The Cressi mask is equipped with a one-piece lens to provide the widest field of view possible. The lens is made of tempered glass which isn't prone to scratches; also, it shatters into small and safe pieces in case of breaking. Also, we liked the swiveling buckles of this mask that allow any diver to find the perfect fit. No doubt, you will be able to wear this mask with comfort! 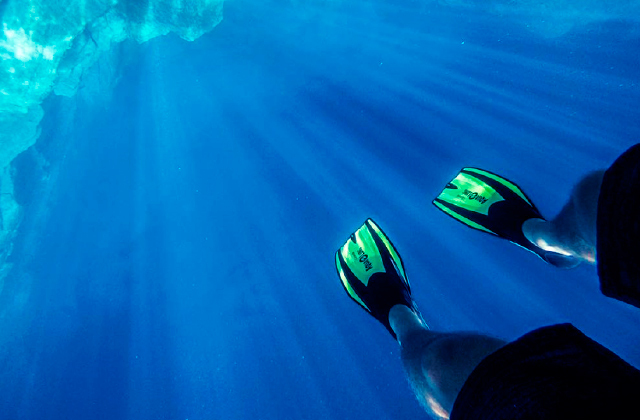 Many divers can't get enough of simply diving and watching through the lens of their masks. Some of them would like to shoot the videos of the deepsea world for sharing them with their friends and family members. 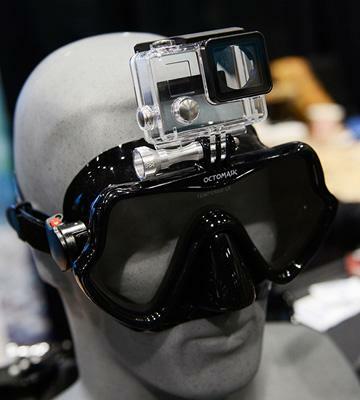 This diving accessory by OCTOMASK is one of the best masks for people keen on underwater filming. 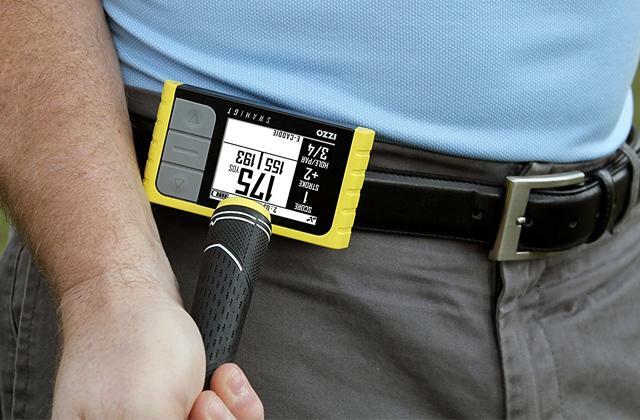 The model is fitted with a thumbscrew for secure fixation of an action cam. It's great that the mask is compatible with all GoPro cameras; you're a lucky one if you've already got one, if not, hurry up to buy one of the cameras we've chosen for you. Proceeding with the other peculiarities of the mask design, it has an ultra-soft silicone skirt that doesn't let the water get inside the mask, and features a fog-resistant tempered double lens that allows you to dive comfortably and see the undewater clearly at any depth. Poor Eyesight Is Not a Problem! Quite a lot of people have poor eyesight, either acquired or congenital. Surely, this problem causes a lot of inconveniences to people when reading or doing household chores. Having a bad sight is likely to be a problem during diving as well, as it makes enjoying the whole beauty of the underwater rather difficult. Wearing contact lenses might be a solution but there is a much better way to cope with this trouble! Promate is engaged in producing special masks for long- or near-sighted customers! Moreover, the Promate masks come with lenses of different dioptres. The lens of this prescription mask is made of top-grade tempered glass which is strong, shattering into small pieces when it gets broken. The mask suits almost anyone and can be ideal for any customer. In addition, the mask is available in a wide color gamut, hence you'll definitely find your favorite pattern. As you can see, a poor vision is not an obstacle for diving! 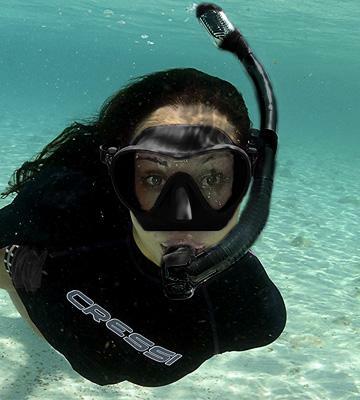 The Promate prescription mask will let you dive along a beautiful coral reef no matter what eyesight you have. 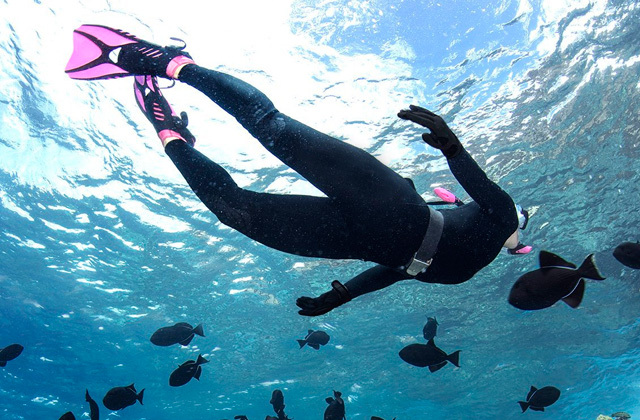 It goes without saying that diving is one of the most exciting and popular kinds of active recreation. It allows relaxing and spending a nice time in an underwater world and meet its ineffable sights and secrets. Of course, diving requires reliable and high-quality equipment, so a diving mask is truly important. 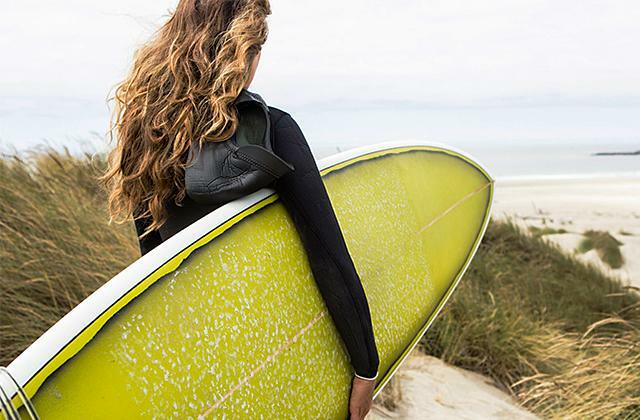 It should be comfortable and protect your eyes well against salt water. In our review, you should be able to find a diving mask meeting your personal needs and requirements. 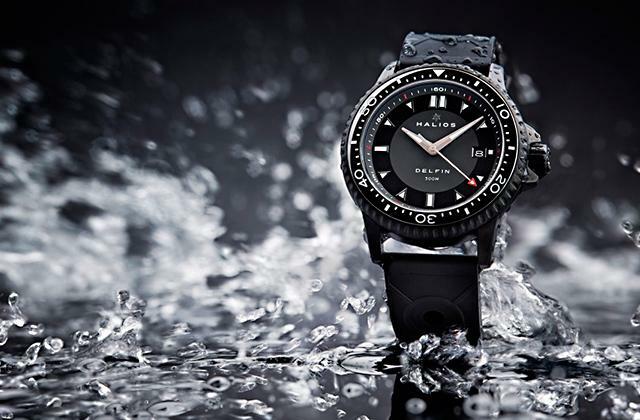 In addition, we suggest you pick one of the dive watches and consider our review of surfboards for amazing marine activities. 1. Kacee S. Beginners Guide to Buying a Mask, PADI. April 14, 2015. 3. 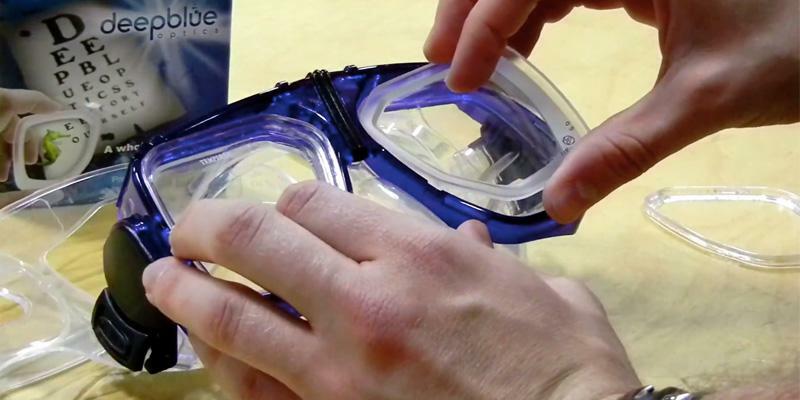 DIVE MASKS BUYING GUIDE, LeisurePro.